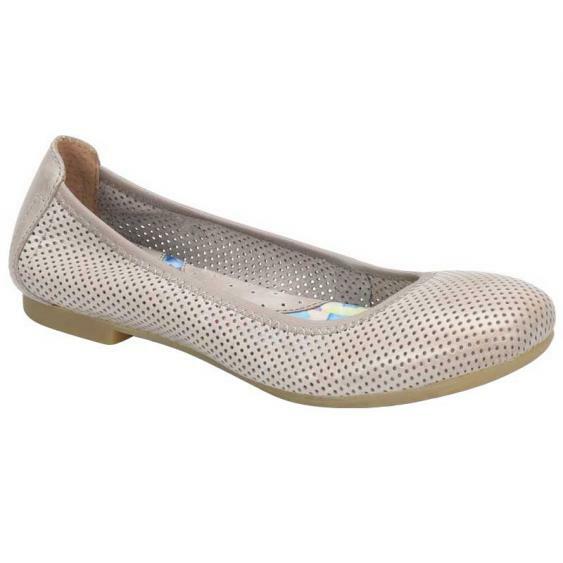 KISS--Keep it Simple and Stylish with the Born Julianne ballet flat. This adorable women's slip-on features clean lines with a supple leather upper. Breathable leather and suede lining help keep your feet cool, while the floral fabric-covered cushioned footbed and sock liner have built in arch support for all day comfort. A composite shank ensure long-lasting durability and a rubber outsole ensures traction on multiple surfaces. You can count on Opanka hand-sewn construction to create a long lasting and flexible bond. Get a versatile slip on that you'll love for years to come in the Born Julianne skimmer.